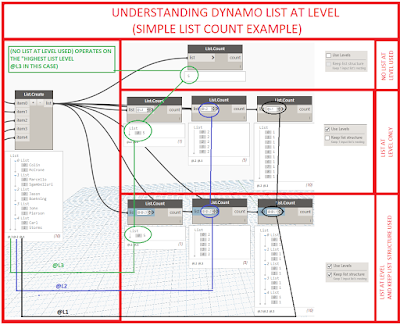 There is a new feature to help you manage your lists in DynamoBIM version 1.2 and greater... its called "list at level" and it allows you to operate at different levels within nested lists. 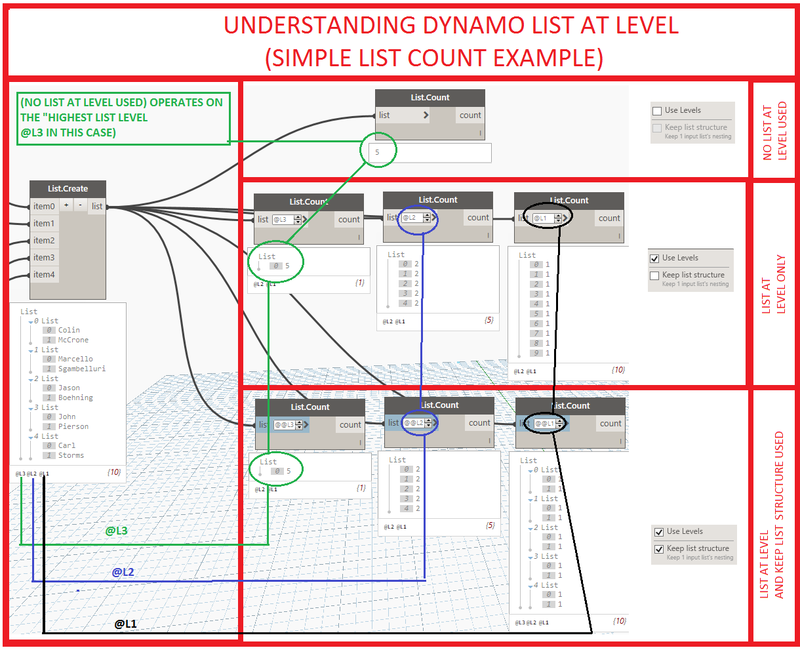 In many cases it will replace the need to use list.map, list.combine, and many other list management nodes. Want to learn more? Simply activate it and start testing! Below is a simple example using list count. Also listen to the SimplyComplexPodcast on our sister network for more explanation.